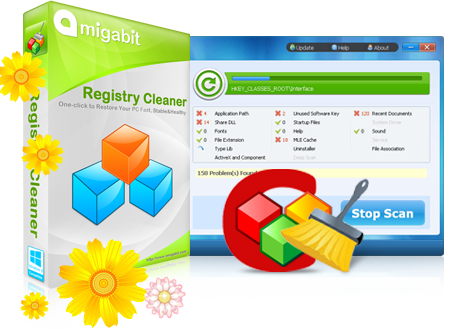 Amigabit Registry Cleaner is typically a solid program to scan, clean as well as repair Registry errors causing slow speed, PC crashing or freezing, blue screens, error messages, etc. with simple, one-click option. Additionally its automatically backup any repairs made. Therefore you always can restore Windows registry in the original state just pressing restore button. Delete the unused registry keys left after program uninstallation and remove vacant space or registry gaps in order to free up available space in hard drive. On the occasion of Mother’s Day (May 7th, 2013 – May 14th, 2013), Amigabit is throwing a Giveaway for their users. For more information and giveaway, please look up on this PAGE. Magnificent article from you man. You’re making it entertaining and you continue to take care of to keep it smart. I cant wait to learn much more from you. This is actually a great web site. Thanks for your great words. I hope you like my articles and also come back to TechnoGiants again and again. Thanks for your great words. Please come back again. Great website with excellent write ups on available products.